Cubefall is a goofy little prototype that I've cleaned up and posted for people who are easily amused like me. -) Made for Oculus Rift but it'll also work on your monitor. 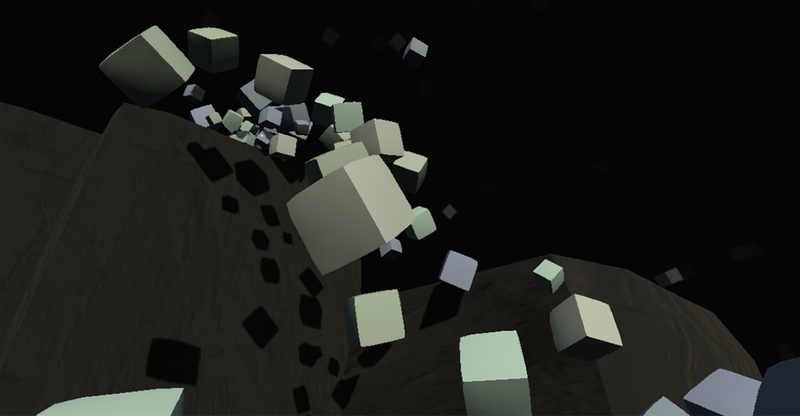 A simple physics demo featuring cubes bouncing and falling over a set of stylized rocks. The sim is visible from several different angles. 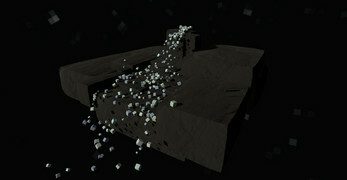 Each view also presents the sim at a different scale - from a desktop toy to a massive 100 foot fall. If enough people enjoy and support this demo I may make improvements and additions. Have fun and feel free to send your comments and suggestions my way.